Add your books to this list: Open Library is an open, editable library catalog, building towards a web page for every book ever published. LitNet - a multi cultural South African web site. Wie de hel is Philip Nel? Poem Crit/Vers-krit:a forum where you can post your poems and receive critiques from your peer poets. You are expected to offer critiques yourself. 'n forum waar jy jou gedigte kan plaas en kritiek van jou portuur-digters kry. Daar word van jou verwag om self ook kritiek te lewer. Skoppensboer se werf bied 'n ruimte vir die gebruik, ruil en uitbrei van idees, opinies, en kennis oor die Afrikaanse letterkunde. The Centre for the Book of the National Library of South Africa promotes a South African culture of reading, writing and publishing in all local languages. Matieland is Stellenbosch University's official alumni magazine. Afrimusik is the first record company in Stellenbosch. Diverse Stellenbosch artists and their texts can be found here. South Africa and the Netherlands have a lot to offer to each other. Nederland en Suid-Afrika het baie om aan mekaar te bied! We are a small national museum that concentrates on all creative writing by southern African authors in English. 9 databases! afrikaans.be Afrikaans.be is 'n webblad vir die gebruik, bevordering en uitbreiding van Afrikaans in België en Nederland. 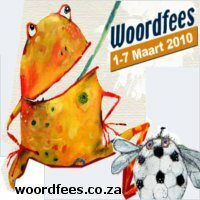 An Afrikaans language and literature loving website in Belgium - an excellent site! NB Publishers have six imprints: Tafelberg, Human & Rousseau, Queillerie, Pharos, Kwela and Best Books. They show web pages of their authors. Maskew Miller Longman is the leading educational publisher of textbooks and a variety of learning materials for primary and high schools in South Africa. Precise Edit: provides editing, proofreading, and manuscript analysis for authors, businesses, students and other individuals. We are leaders in great communication. Gail Evans, author of Meditations In My Favourite Places In Southern Africa, has an excellent links page on her website. Vivien Allen is currently working on the revised and updated edition of Kruger's Pretoria. Animal Welfare Stellenbosch need your help!